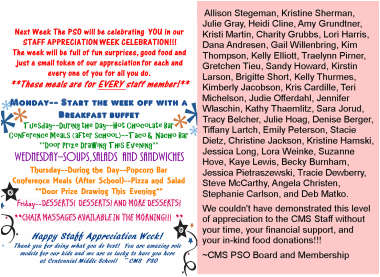 CMS PSO requests in-kind donations to help continue our operations. Donations may be dropped off at Centennial Middle School, 399 Elm St., Lino Lakes, in an envelope marked Attn: CMS PSO. What is Scrip? Click here to view informational video. This page will contain former CMS PSO information. CMS PSO extends our appreciation to Officer Terina Peterson with the Lino Lakes Police Department. 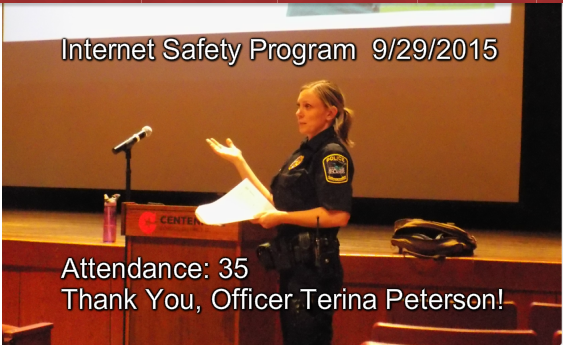 Her time, knowledge, and real world examples added depth and context to the NetSmartz.org Internet Safety Program at the CMS Auditorium on 9/29/2015. Officer Peterson added relevant examples seen in her daily work which illustrated the topics and points outlined in the presentation. ​Our thanks go to Principal Bob Stevens, who added relevant school-related examples, driving home the importance of understanding the potential consequences of choices being made by our kids with regards to choices made when using apps, social media, texting and other online media. Volunteer parent, Paula Greve (Sr. Director, Data Science, McAfee Labs/Intel Security) presented a hybrid kid-friendly Internet Safety Program in the Media Center. Many thanks to Paula for her time and knowledge on the topic. Holding a presentation to share this information at a level better understood by a younger audience was a great benefit to the children of the attendees of our main program. NetSmartz Presentations page; the main presentation and Tween/Kids used at the 9/29/2015 Internet Safety Program. The tip sheets that Officer Peterson handed out will be available in the Main office on 10/01/2015 or click here for all available tip sheets. This award-winning documentary was screened on November 5th with CMS guest facilitators Assistant Principal, Mike Macken and 6th Grade Counselor Corinna Morse. 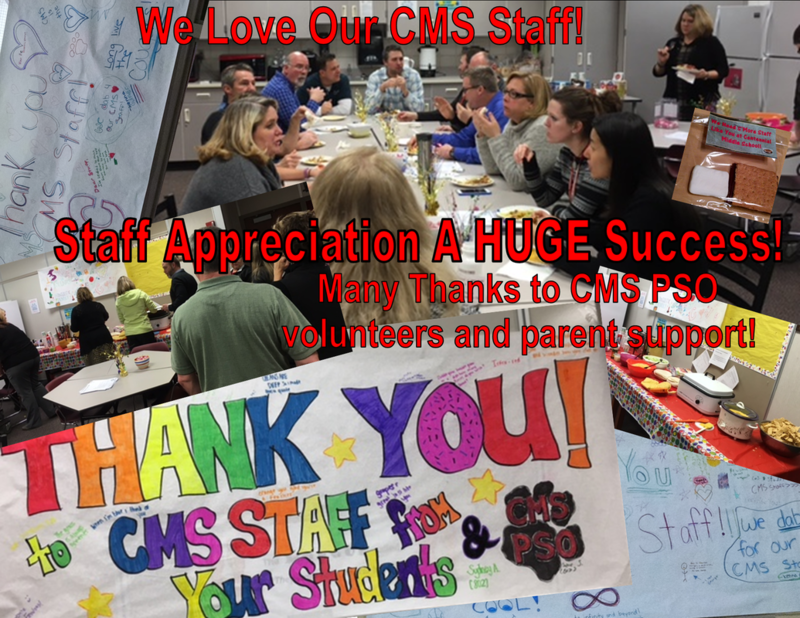 On November 11th we were joined by CMS guest facilitators Assistant Principal, Kristin Marshall and 8th Grade Counselor Mary Macken. Combined attendance reached over 45 parents with a few student attendees. Our parent attendees all participated in an engaging Q&A and feedback discussion. The Board's goals included providing parents practical information and resources to help their kids navigate the challenges as they get closer to college preparation. 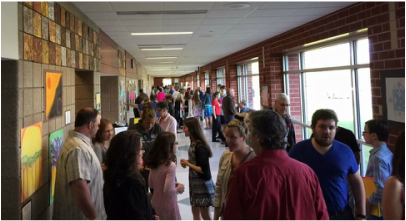 The screening of this documentary was a catalys to a change in homework standards at the Middle School level. Homework black-out dates outlined in the 4/24/2015 issue of In The Know newsletter are in part, due to the screening of this film in November 2014. Read the Synopsis below, watch the trailer by clicking the link to the left or see www.racetonowhere.com for more information. CMS PSO plans to screen this documentary during conference nights in February 2016 and potentially in teh 2016-2017 school year to allow more parents access to this resource. ​A concerned mother turned filmmaker aims her camera at the culture of hollow achievement and pressure to perform that has invaded America’s schools. It is destroying our children’s love of learning and feeding an epidemic of un prepared, disengaged, and unhealthy students. This remarkable film shines a light on the price our kids pay for this “race to nowhere.” Cheating is commonplace, stress-related illness, depression and burnout are rampant, and ironically, young people arrive at college and the workplace unprepared and uninspired. Featuring the heartbreaking stories of young people who have been pushed to the brink, educators who are burned out and worried that students aren’t developing the skills needed for the global economy, “Race to Nowhere” points to the silent epidemic running rampant in our schools. We thank the CMS administration, counseling staff, and the CMS parents who attended the screenings for this important topic. 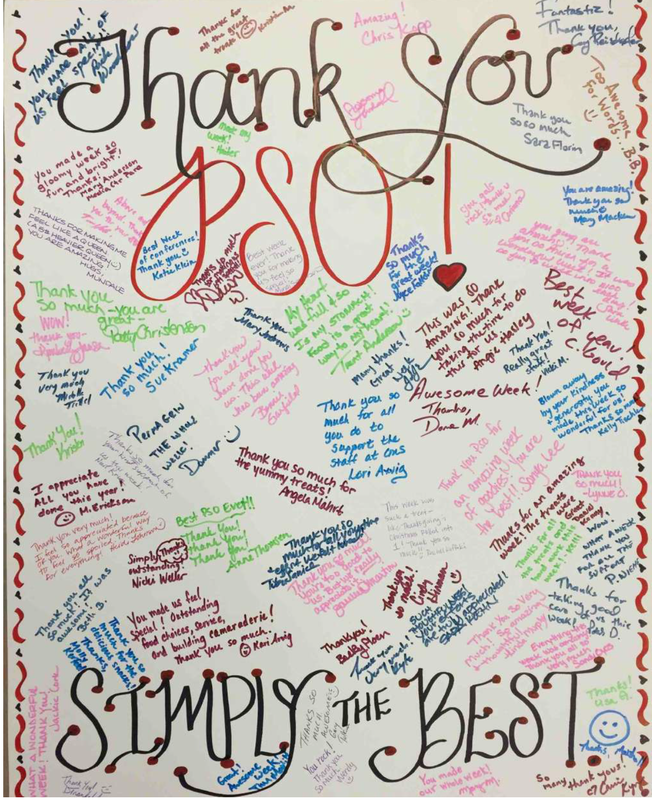 During the week of February 22-26th the PSO invested in Staff Appreciation Week. See the plan outline below! Many thanks go out to our Coordinator, Kris Cardille for putting together an amazing plan and executing an event which all staff felt part of and included in! 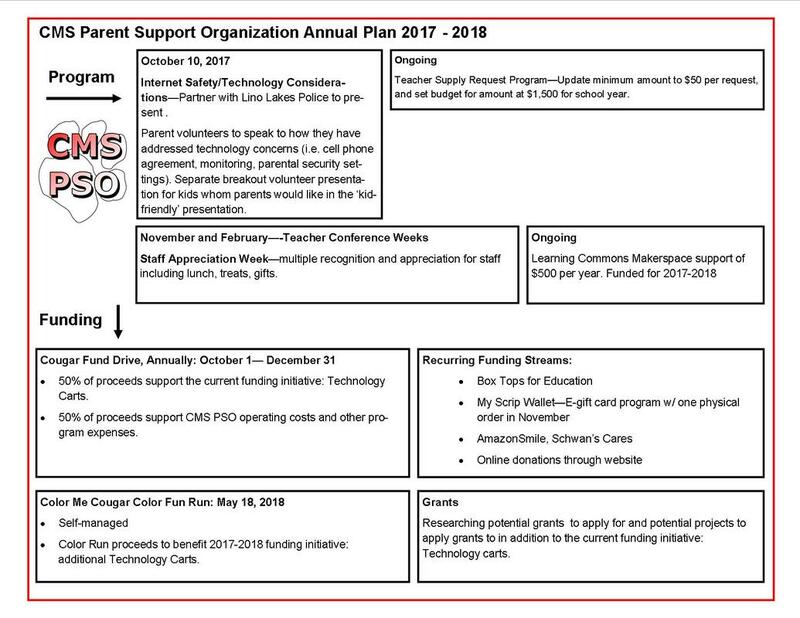 This program is another passive fundraising opportunity to purchase the items as you normally do and produce a donation to CMS PSO in the process. Click the button to the left and help us to help our kids!